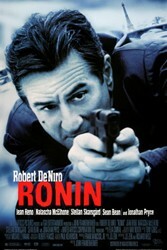 Robert De Niro is an actor, director, and producer. He has won two Academy Awards and is widely regarded as one of the greatest and most influential actors of all time. De Niro was born in New York City and at the age of 13 joined a street gang in Little Italy. De Niro's first major role came in 1973 as a dying Major League baseball player in Bang the Drum Slowly. He earned his first Academy Award, for Best Supporting Actor, in The Godfather, Part II, playing young Don Vito Corleone. De Niro gained 60 pounds and learned how to box for his portrayal of Jake LaMotta in Raging Bull for which he won the Best Actor Academy Award. See this video of the final scene in "Raging Bull". In our opinion, one of the greatest actors of all time.